Thank the blogger who presented you the award and provide a link back to their blog. 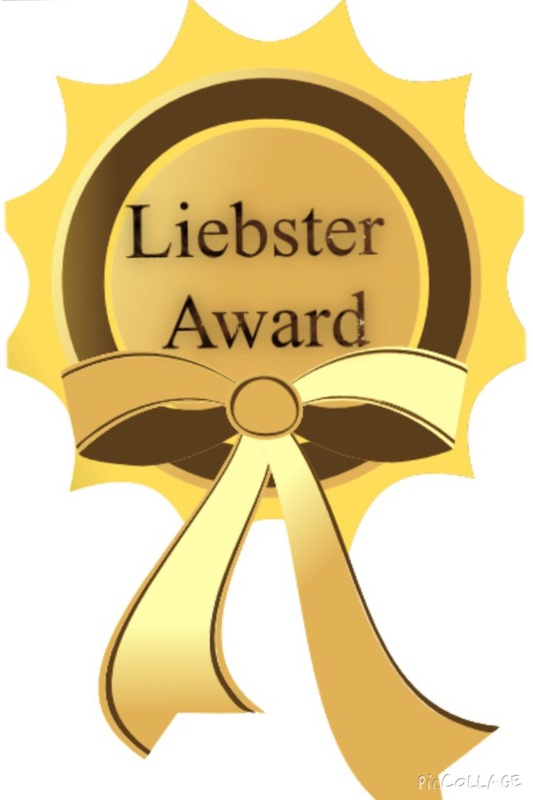 Acknowledge and thank the blog who nominated you. Answer the 11 questions asked by the person/blog who nominated you. I do know what this means, without doing a internet search. It’s “I love you” in German. My cousin speaks it and he taught me this one sentence. If I could meet one blogger I’d love to meet Punk Rock Papa. I’m in great communication with him and his lovely family a lot. But to meet them in the flesh would be the ultimate. The fun, laughter, and love for each other’s family’s would be so divine. I couldn’t live without my book light I love to read late at night in the dark. When I was 10 I wanted to be a model, it seems laughable to me now with me being so short! But I had my childhood best friend who’s cousin was a beautiful Canadian model and I idolized her Italian beauty. I have dreamt about Elvis Presley and Jim Morrison and having dinner with them. I ended up writing an English paper about it in high school. I would love to be the X-men’s Jane/Phoenix. Being empathic I’ve felt like her on occasion except for the psychic rages and meltdowns she incurred from having to much power and not enough self control. I would rather not be frozen, but I’d go back in time to the age of 25. I look back on my own year being 25 and it was a really fun time in my life of self discovery, risk taking, and becoming comfortable in my own skin. I was old enough to know better and do better, and I wasn’t getting ID’ed anymore. The best model I would say is an SUV a Chevy Trail Blazer. Big enough to fit a family of four and tough enough to go off roading in the bush. I’m a family oriented woman who’s strong with a soft emotional centre. I would love to live in the Renaissance era. I would be friends with everyone from royalty to peasants, and wear beautiful clothes and be painted by the renaissance artists of the time. I would spend my time writing, creating art, and performing in plays and entertaining the public with my singing. I would give up my sense of smell. I love to see colours of the rainbow, feel textures of different fabrics, and objects. I love food, almost all types that are neither to sweet or sour. Although I would miss the ability to smell a blossoming rose or lavender oil in my bath; I could still appreciate the effects of the aromatherapy. Now onto the next set of questions from New World Mom. 1.Why did you start writing/blogging? I started blogging because I needed a place to put all my thoughts. I filled many notebooks and journals with my feelings so why not put them out there to help make sense of them. 2. If you could meet anyone, alive or dead, who would it be? I would love to meet the members of Fleetwood Mac and Pope Francis. Both for the same reasons too, all the love and inspiration I feel when I see them in their elements. 3. If you could play any sport professionally what would it be? I would play volleyball professionally. I’m very short but I used to be a decent player back in high school. My favourite quote is one I use everyday. 5. What is your favourite album (front to back) of all time? My favourite album of all time is Fleetwood Mac’s Rumours. I listen to everyday it always inspires me. 6. Who is your biggest role model? My biggest role model was my beloved Mama. I don’t even like saying that in a past tense although she flies with the angels. I still look to her in prayer for guidance. Instantly hearing my children’s laughter. And sweet romantic gestures from my husband. I really do, I met my husband 30 years ago and he was the only one that gave me butterflies, rapid heartbeat, and giddy feelings of love. I had a handwritten note delivered to me stating I was a babeasaurus. I was working at the time, and I literally floated all the rest of my shift. 10. Do you trust anyone with your life? I do, and he’s always kept it very safe and protected from the uncertainties and cruelties of the world. My favourite word is SWEET! Questions to my nominees if you choose to accept this award. 1. What’s makes you thrive in life? 2. What makes you smile daily? 4. Who would you love to party with, like get really drunk and disorderly with? 5. Where is the one place you’d love to visit in the world? 6. Where’s your favourite place to vacation? 7. Are you all about camping, hotel stays, or RVing? 8. Do you believe in the spirit world? 9. How many times have to struck out in the dating game, as in had one date and never again? 10. What was your worst date you ever had? 11. What is your muse for writing, or do you have one at all?